How many clients did you lose before you even met them? Great photos work for your business and engage with potential clients. Unfortunately, all too many architects’ web sites end up packed with poor photos that just don’t engage visitors. Keith was recently interviewed by the Entrr design agency about some of the problems and issues faced by architects and their web sites – this is an extended and expanded article based on the interview, which includes some photography tips for architects wanting to improve their own photography. The photos on your site have a clear job to do – that’s why we take time to find out what that job is before taking them for our clients. This article is aimed at small to medium practices looking to make their web site work more effectively for the business. Such web sites are more than just a marketing tickbox – they need to earn their keep. 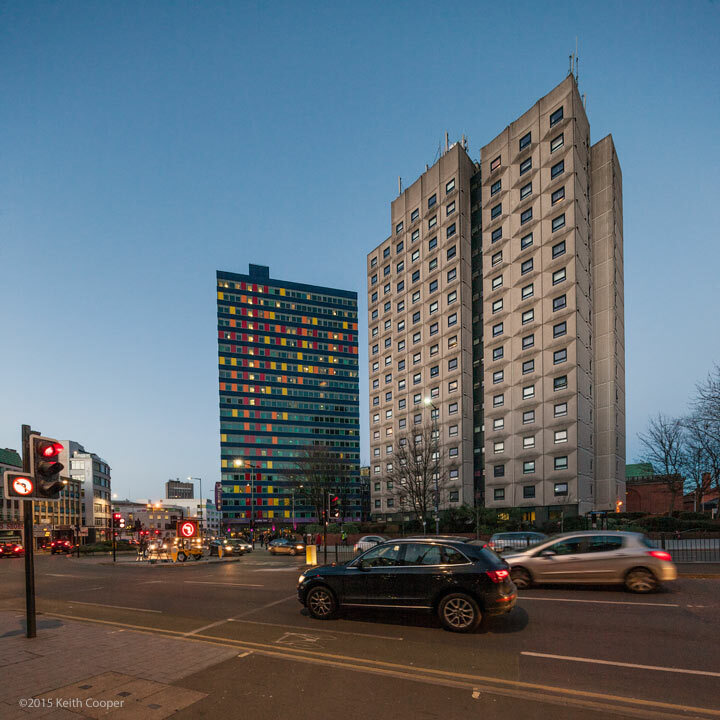 One of the key parts of Keith’s commercial work is architectural and construction photography, where many of our photos go into reports and on to our client’s web sites. Q – You’ve seen lots of architecture firms’ web sites. What are the main pitfalls when it comes to their photography? Could you list a few? Think of any photo as having a number of potential jobs to do – these vary with location on the page and site. A photo has to grab viewers initial attention and hold them on a page long enough for the copy to register. If you’re selling aspirational design, it has to resonate with potential clients, setting the right mood. The photo needs to exude confidence and relevance to the visitors’ needs. 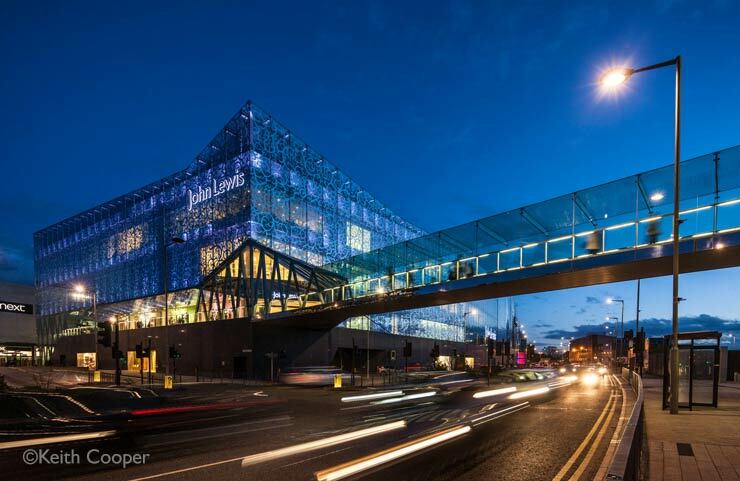 For a profession where initial visual impact is such an important consideration, all too many architects seem to think that potential clients will see past glaring imperfections in photos and appreciate the essential skills underneath. In a way it reflects the common business web site failing of too much “We” and not enough “You”. Too often, photos seem to be added as space filler, to break up long chunks of text, without any consideration of why they are there. There is ample research showing that site visitors ignore irrelevant photos. As a photographer, I have a similar issue, where I need to put a wide variety of shots on my web site to appeal to different viewers. A shot that works well if you design shopping centres, but less so for country cottages. I’d also suggest that over reliance on renderings, as opposed to real photos with real people in them, risks alienating many a web site visitor. I’m sure you are proud of great looking renderings and the work they represent, but I’m afraid all too many clients will just see a generic ‘artist’s impression’ and then look for real examples. 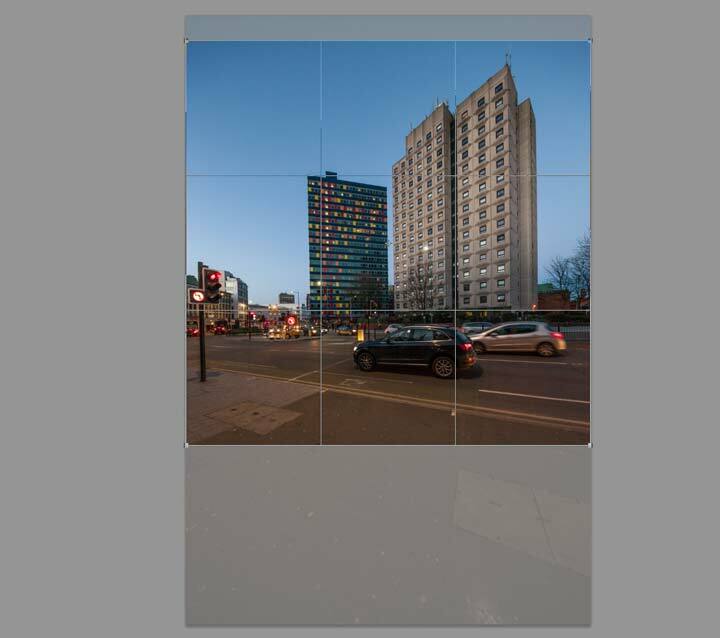 Much as I have a great collection of truly awful photos found on architects web sites, they are best left for my actual talks and presentations… suffice to say that being an architect and having a camera in your phone does not make you an architectural photographer. Q – In your opinion, why are good photos so important on-line? And specifically for the architecture industry?? Your on-line presence has a number of jobs to do – you need to know your audiences and what they want. Clients need to be able to visualise what you offer. Once you’re talking to them, then that’s up to you. The web site is just part of your client development process, but one that you’re absent from. 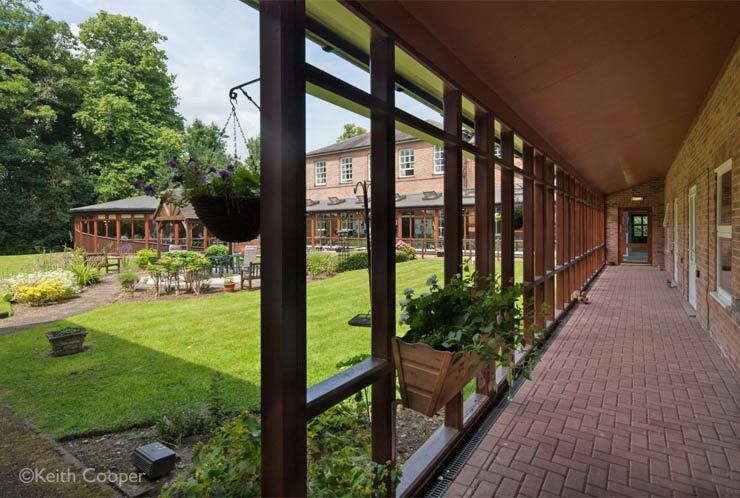 An example from a residential home – care is needed with the shadow and lighting. A nice photo, but you probably wouldn’t use it on a page with designs for city apartments? Q – What do you think is more important in generating clients on-line: content or photos? Or is it the combination that’ll lead to success? First, I’d say that good photos -are- content – but for them to work, they need to have a relevant and consistent message. Most important is addressing the potential client’s needs – at it’s most basic, you need to answer their ‘what is in it for me?’ question. Look at your current offerings with a critical client’s view. Even better, ask a client what they thought of your web site. Too many sites state bare facts about the practice, with no justification as to why they are relevant to a client. An example would be “We work to standards X,Y and Z” – great, this needs to be said, but the immediate response is “So what?”. You need to explain -why- the fact that you work to these standards is relevant to the client. Just because you know that it represents your adherence to the latest standards in some area and few others do so, is utterly irrelevant if your potential client knows nothing about the field, or why it should matter to them. Once you have the message (or messages for different audiences) it’s time to consider how best to communicate it. They can set a scene for a story and invite the viewer in to explore. Photos (and diagrams / plans / renderings) can all contribute to success of the message, but you need to know what it is you want to say. This construction photo needs to show corporate identity as well as giving a feel for the company’s care in their work – it’s part of a series of photos with a job to do. One of the simplest messages I came across was when discussing residential property photos with a real estate agent. Your on-line content needs to enhance the prospects of a potential client contacting you. Even if they have heard good things about you directly from a previous client, many people will still want to check a web site before contacting you directly. How much business has your web site lost? Q – For architecture practices with a limited budget, can you list a few tips & tricks to enhance their photos on their web site / how to take a good photo? A phone is just that – think of getting a modest DSLR camera and a tripod. Consider the time of day and weather very carefully. The changes in lighting can completely alter the feel and mood of the photo. Plan ahead – when will the location be at its best? Is it in a finished state or does the photo do more to promote the decorators/builders? We have a set of photography guidelines that we provide for clients, that may serve as useful reminders. This photo was for a manufacturer of roofing tiles. I would have preferred to go on a brighter day, but didn’t have the option (all to frequent in the UK). However, the client was more than happy with this example of their product, so not a problem. As a ‘sales’ picture for the property I’d want the garden tidying and a blue sky. 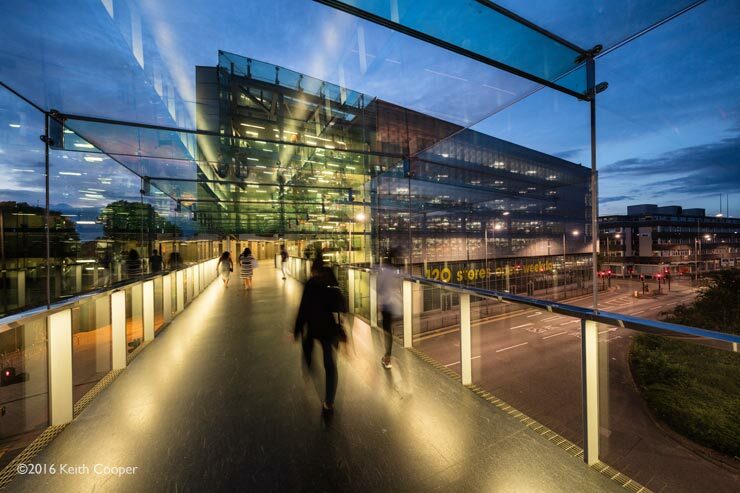 Two photos of the car park at Highcross in Leicester in the UK around sunset. The second shot, just half an hour or so later, where artificial light levels are now higher than the natural light, shows how you can change the whole feel of the space. Note how you can now see into the car park. As an experiment, set up a camera half an hour before sunset and take a photo of the same view every 10 minutes, until 30-40 minutes after the sun goes down. Look at how the quality of light changes, especially if you’ve artificial lighting in the scene. 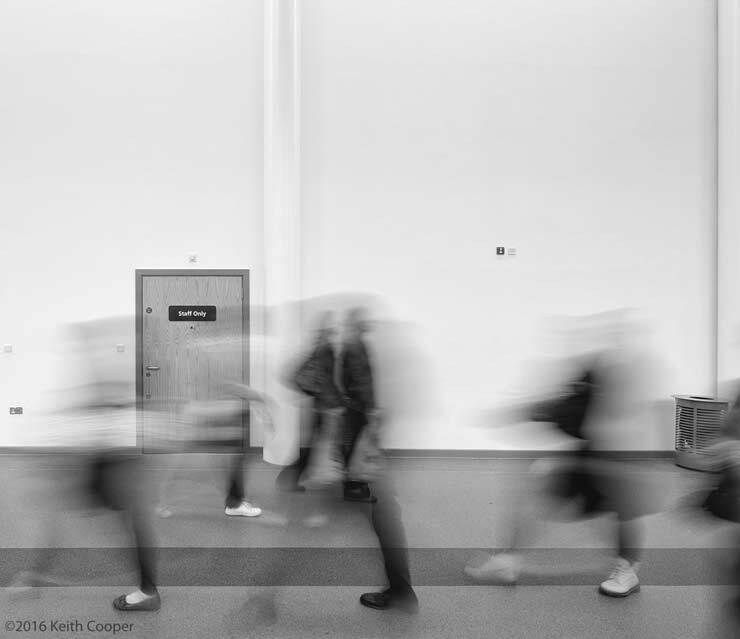 The longer exposure required (about a quarter of a second) gives a sense of movement too, and also removes the problem of having identifiable members of the public in your photos. 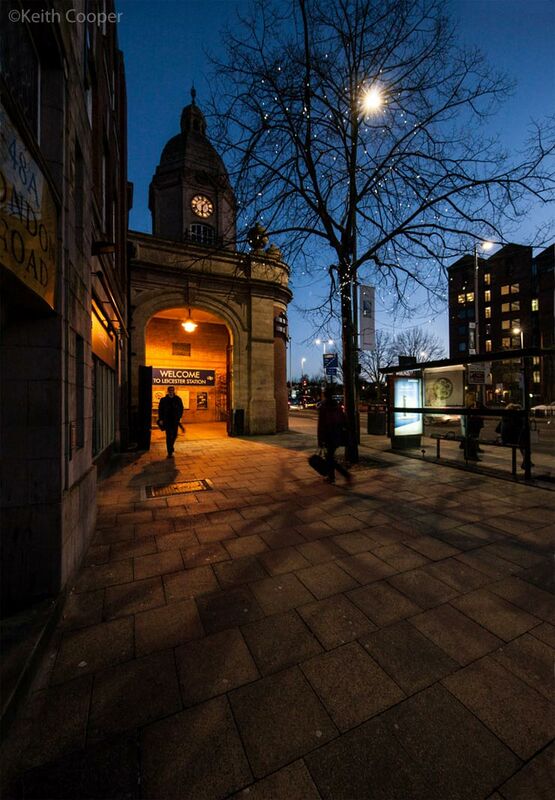 In a longer exposure of people walking, there is often one part of the body that doesn’t move during the exposure. Take several shots and pick what works best unless you want to show individual feet, such as in this shot from the new bus station in Leicester. The choice of lighting sets the mood for the entire image – remember that your photos have a job to do, and emotional impact can be an important part of that. The location of the camera is important – take a moment or two to look at what you are seeing through the viewfinder. Think about how you want to process your images. Even modest packages such as Photoshop Elements or Affinity Photo contain powerful geometry and lighting adjustment tools. Learn the power of cropping – there is no need to use an entire picture. Modern cameras have more than enough resolution to handle cropping. Tip the camera upwards and verticals converge. 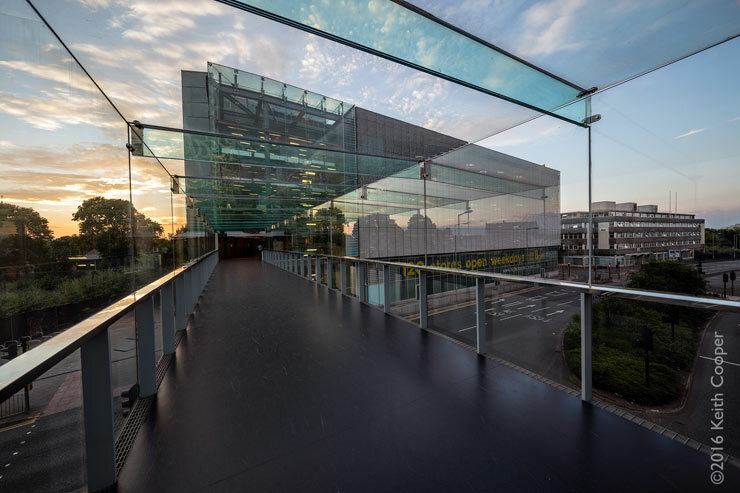 One of the ‘secrets’ of architectural photography is using expensive tilt/shift lenses to correct this, but keep the camera level and crop off the unwanted foreground, and you have no convergence. Here’s the full photo, showing where I’m going to crop. The resulting cropped image has good parallel verticals, and didn’t need a few thousand pounds worth of lens to do it. Q – Could you tell me a little about your specialities? Do you have a certain field within architecture for which you take most photos? Much of my architectural work tends to be commercial property development and sales. Whilst all architectural photographers love the stunning individual buildings that appear in the magazines and journals, being able to make visually interesting images of what may be pretty mundane and functional structures is a skill that requires a mix of the technical and creative. I cover construction and industrial photography as well, so often get to photograph projects from the initial groundworks stage right through to people working on the factory floor. 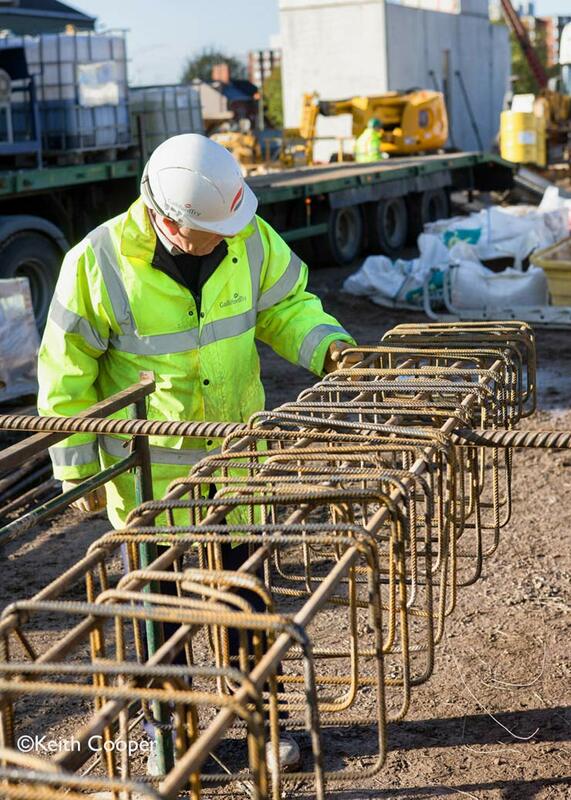 As an ex geologist, with an engineering and scientific background, I find it much easier to work with all the trades and professions, whether showing details of a production line or novel construction materials in use. As I’ve mentioned, we’re happy to provide bespoke photography training courses and sessions for practices of all sizes. 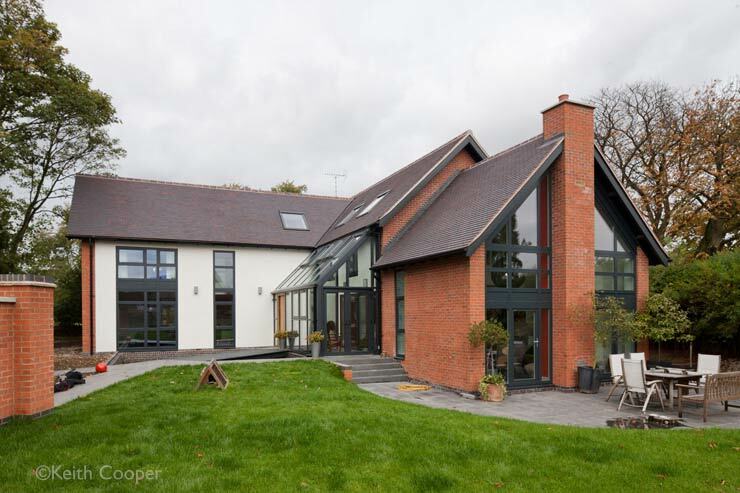 I know that budgets for small projects won’t stretch to engaging a professional architectural photographer, but that’s no reason you shouldn’t have some good photos of your work on your site. I’m also an affiliate member of RIBA and am happy to discuss seminars and presentations for local RIBA branches, such as this one for the LRSA in Leicester. Q – What’s been your favourite project so far? What about it was so special? 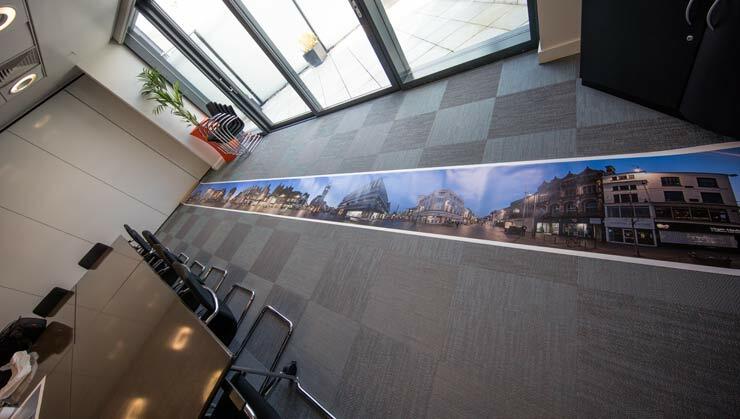 It’s got to be producing a 47 foot (~14m) complex panoramic photograph of the city centre in Leicester. 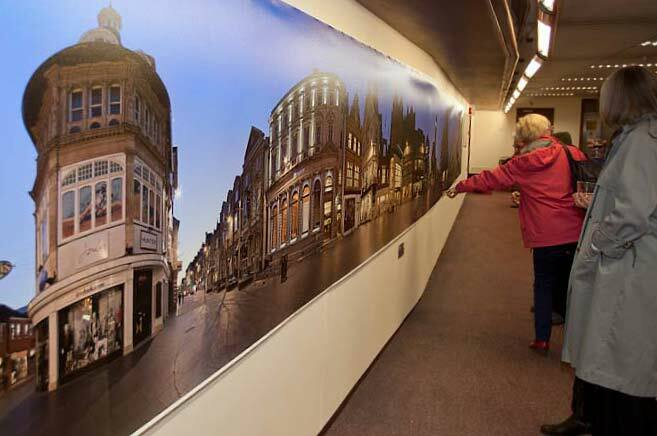 Using multiple viewpoints and complex mixed projection geometries, it provides a view that cannot be seen from any one point, yet moving along the print gives a feeling of walking the same distance in the location. It was exhibited in the city for quite some time, and seen by a lot of local people. I’m told that quite a few people spent over 30 minutes looking at it. The detail is fine enough that you can read notices and signs in the shop windows. I’ve used techniques perfected in this image many times since, but the challenges in creating and printing the first one were immense. The original image is equivalent to about 2100 megapixels resolution (how many does your phone have?). This is a 7 metre version produced during my recent testing of a new printer for Canon UK. If you are curious, there is a zoomable version of the image available (along with several other ultra high resolution images to explore). The use of complex projection geometries is one of my specialist areas, whether rectified images for survey purposes, or producing ultra wide angle views of interiors the don’t show some of the typical anamorphic distortions associated with wide angle shots. For example, I’m determined to show that digital techniques can often surpass traditional large format film photography in quality and flexibility – offering new capabilities and far better value to clients. If I could make a direct appeal, it would be to practices who still want the quality of large format photography – give us a try? I also find it difficult to convince people to think about monochrome (black and white) as an option, unless they see one of my large prints and are thinking about the image as a large print on the wall at their practice. Q – Have you detected any trends over the years when it comes to architectural photography and what do you expect for the future of architectural photography? Whilst fashions change, such as the desire to show or avoid people in shots, I also see technical changes coming from developments in cameras and software. The ease of taking and sharing quick photos has led to a proliferation of distinctly average looking images and a ‘this will do’ attitude. 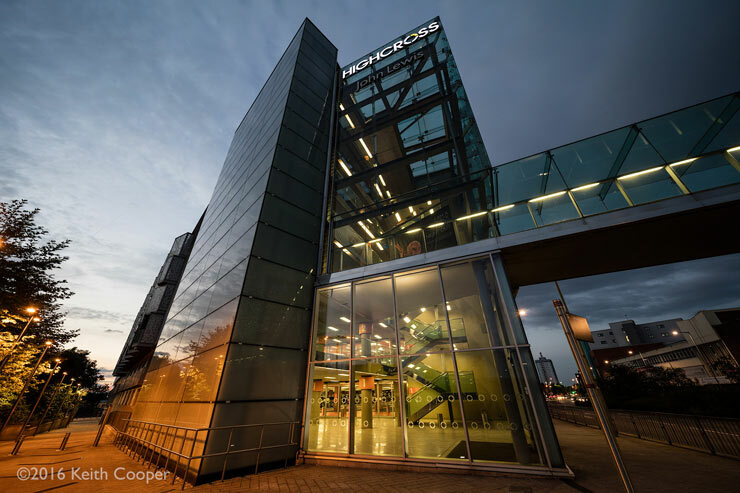 That’s actually not a bad thing – we now offer training for architects to help them take better photos. The advances in digital imaging and software now mean that many projects that were candidates for large format film photography can now be addressed (and in many ways surpassed) in a much more efficient, timely and cost effective manner. This technology is changing fast, and like the digital photography revolution in the early 2000’s represents challenges and opportunities to photographers. With the technological advances in imaging, it’s easier than ever to produce technically proficient photos – what that doesn’t fix (at the moment) is the skill and creative ability to produce images on the wall that really get people to stop and stare. 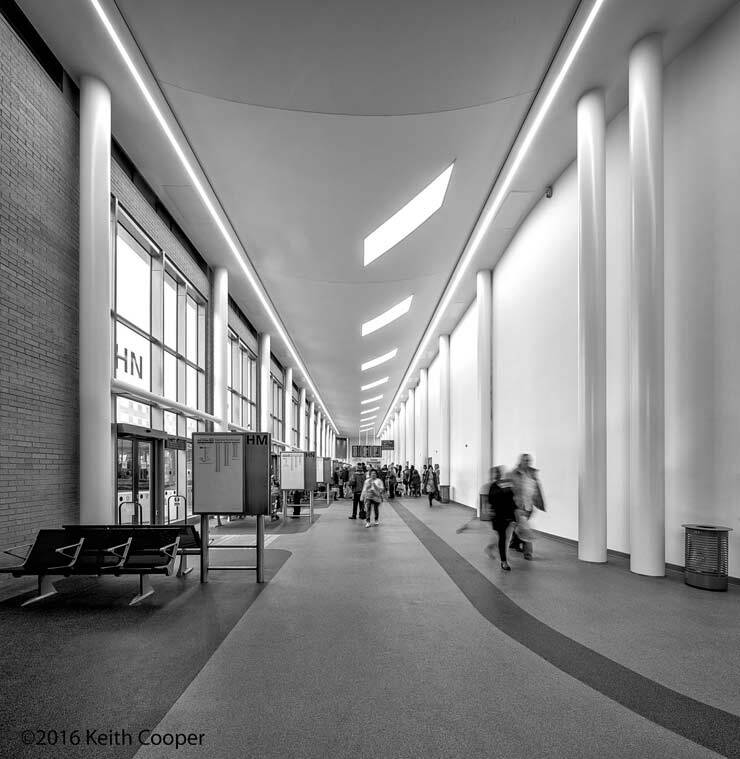 Review – Laowa 12mm ultra wide angle lens – from when Keith was asked to test a new lens before it was released. Photography from 8 metres – looking at a new carbon fibre tripod.